George Antone is on a mission to help create a decentralized financial ecosystem that unlocks the human potential within a community. George has helped revolutionize traditional lending through a decentralized peer-to-peer network, on how to lend and borrow safely. That blossomed into the largest network of private money lenders in the world, which funded more than $1B in private loans and created tremendous economic growth in hundreds of communities. In 2015 Inc. Magazine recognized this effort as one of the fastest growing companies in that sector within the United States. George is now ready to expand his impact from investors, to a new segment: everyday hard working individuals and their families. The gap between the rich and poor continues to widen, proving that traditional banking and education is not the solution. How do you help everyday people break free from financial stress and unlock the greatness within them? This was the challenge George was passionate to solve. And so, George set off to find a strategy that would dramatically impact a family’s financial situation and discovered just that. The guidelines he mapped out as the blueprint needed for every day individuals to succeed financially, without the need to be a savvy investor. George also envisioned a movement of people helping people that would disrupt the traditional game of personal finance powered by centralized (Wall Street owned) banks that, at best, offered the poor and middle class high interest credit cards, mediocre financial education, and below average investment opportunities. He found their inspiration in the microfinance movement whose objective is “a world in which as many poor and near-poor households as possible have permanent access to an appropriate range of high quality financial services, including not just credit but also savings, insurance, and fund transfers”. The microfinance movement lifts people out of poverty through financial inclusion. It promotes economic development, employment and growth through the support of micro-entrepreneurs and small businesses. One of the challenges that was clear early on was the pervasive existence of “Generational Poverty.” “Generational Poverty” occurs in families where at least two generations have been born into poverty. It happens because the majority of the world learns about finance from their parents and extended families, and there is a lack of financial education in schools. These financial “poverty lessons” are being passed from one generation to another and the result is “Generational Poverty”. It was clear that the conversation had to change. The new “Generational Wealth” conversation had to be part of this new strategy. After years of seeking, George’s background as author of two best-selling books on finance and an award-winning trainer on innovative financial strategies and access to world-leaders in this field, led him to discover a 200-year old financial strategy used by the richest families in the world. This strategy turned out to be the most important and powerful financial strategy for families that has the highest impact in all 3 areas of wealth for families: Relationship, intellectual and financial. Nothing else came close – this strategy had everything he wanted already built into it. After a few years of research, he presented his findings on this topic to an audience of 400 people. The challenge that became apparent was that very few people understood the power and significance of the strategy because, even though it was simple to implement, it went against people’s basic financial conditioning. The strategy was not obvious enough for people to immediately relate to or understand. And so, a few years later, with a huge investment in resources, both financial and human, the strategy was turned into a powerful game-based learning event. The Family Bank was built from the ground up to deliver an effective and impactful way to learn. It’s through this game-based learning that powerful skills and thought processes are discovered and deeply ingrained. The objective? For everyone attending to leave the event with the skills and ability to immediately implement the “family bank” concept within their own families – with no additional purchase required. No consulting services. No additional training. Just a powerful, life changing and educational event, that would inspire people to step into their greatness, and also inspire them to pay this forward to another family as part of the movement to help others. Our team now consists of inspired people who want to help launch this movement and impact one million people’s lives by Dec 31, 2020. 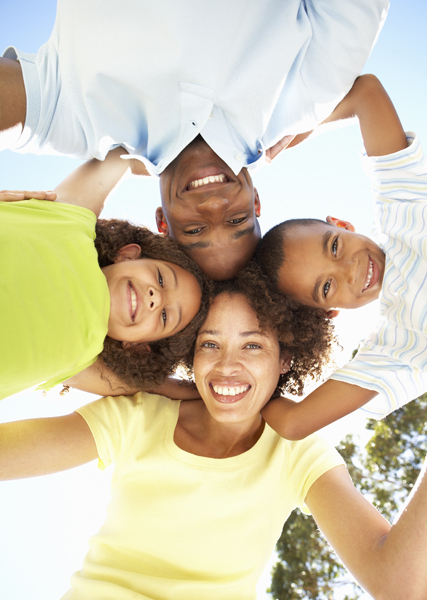 WHY we exist: We exist to help individuals and families achieve the lifestyle they desire. HOW we deliver: We do so through ACTIVE learning of INNOVATIVE and ACTIONABLE content & tools delivered by INSPIRED PEOPLE who care. WHAT we do: We provide live training around the world on financial concepts that promote financial freedom and security to create generational wealth. Our GOAL: To launch this movement and impact one million people’s lives by Dec 31, 2020. Welcome to our dream! It’s becoming a reality. Join us in this movement – families helping families around the world. Attend one of our games happening in a city near you.